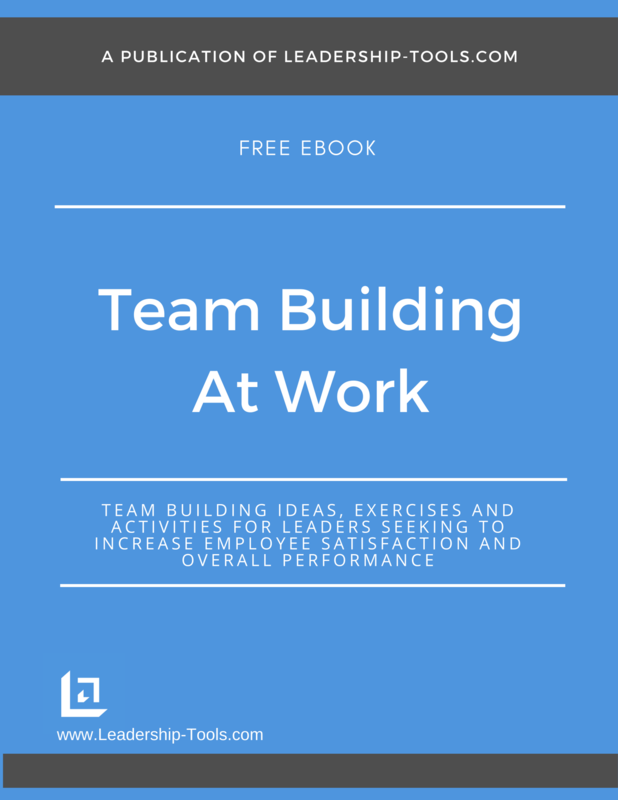 Team goal setting is just one of many topics we cover in our free ebook, Team Building At Work. For teams to be successful they need to know how success is defined. By setting clear goals for your team, you provide them with a clear understanding of what they need to achieve to be successful. Goal Setting - why is it so important? Written goals are key to the success of every team or organization. Team building activities for goal setting can assist leaders to gain the commitment of their employees by connecting with them on a more personal level. Clearly defined goals lay out the leaders vision for success. By initiating an action plan and the tracking systems for measuring incremental progress helps everyone on the team to view their own contribution toward the success of the team. Leaders must take the time to break down the goals into short-term, measurable and attainable objectives, each with a set time period attached. 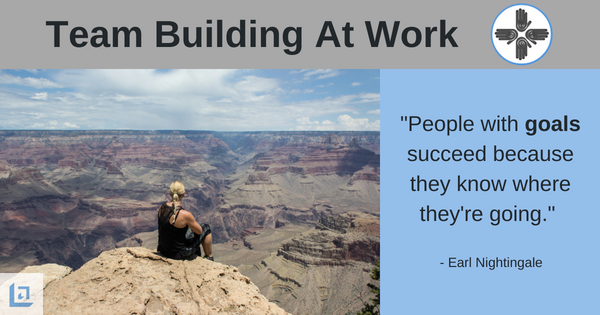 By doing this, you gain greater buy-in from the team. It's much easier to accept a 10 unit weekly goal, than a 520 unit annual goal. Breaking the goal down into bite sized chunks helps team members to more clearly see how they can be successful. People who believe things are possible are much more likely to achieve their goals. "Your ability to identify details, plan thoroughly and consistently execute is everything if you want to succeed." Goal tracking also provide a means for leaders to identify those who may need additional training or support. Leaders can also reward and recognize top performing employees based on their abilities to achieve specific targets. Does the goal support the overall purpose or mission of the team? is the goal Time Sensitive? Making your goals clear and easy to understand using the above SMART technique will ensure that goals are fair and reasonable, and by following this process, you are more credible as a leader in the eyes of your team. Purpose: To provide a team building activity that will help to identify your next project or team leader. Explanation: Let’s say you have a new project that you need someone to lead. You have several existing employees who have a high desire to take on a leadership role. Since team members already know each other, you can be certain that there is already some office politics going on as people begin to jockey for position for the new role. Your task as the leader is to not only identify the new leader, but also to do it in a way that supports the new leader. The new leader must have credibility in the minds of those that will be working for him or her. Gather your group together and create team building activities that get everyone involved in defining the key roles and responsibilities of the new prospective leader. Next, get everyone involved in defining the skills that that are necessary for this new leader to be effective in the role. What you are doing here is getting your entire group to help define and eventually identify their new leader. By getting the feedback of the group, you are already helping to build valuable credibility for the person who is ultimately selected. Inform your team that collectively you want to hear from them what is needed in the new leader in these key areas of performance. Put the team in small groups first so they can talk among themselves and come up with their best ideas for each category. Then, bring the group together to share their thoughts. 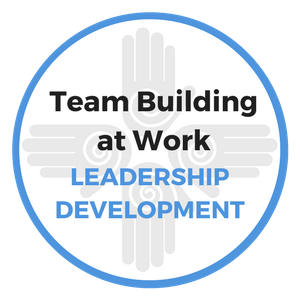 The leader will facilitate the discussion and work to find common ground and come to a consensus on what the team believes in needed from the person who is chosen to fill the position. Once the discussion has ended, the leader is armed with great information to consider when interviewing the group of candidates. Your team will appreciate the fact that you took the time to get their feedback and that you will be seeking for the best candidate possible, based on their collective input. Next, let your team members know that anyone interested in applying for the position should do so formally, and include with their application a personal assessment of how they believe they meet the requirements set forth by this team goal setting activity. Once you’ve selected your new team leader, you can make the announcement to the team that in fact they selected their new leader via the process of defining the perfect resume for the job. Purpose: To engage the team in identifying the smallest details of a project in order to achieve their goals and ensure maximum positive impact to the organization. Explanation: We've all heard some make the comment, “The devil is in the details”, but it sounds much more positive and productive to turn that same phrase around and state, “Success is in the details”. In this team goal setting activity, we'll show you just how true that statement is. When leaders are confronted with an opportunity for team goal setting or action planning for any particular objective, this is a great time to get your team involved in creating a clearly defined plan. The more detailed the team can be in identifying every key aspect of the task, the more likely they are to succeed. Write down your next vacation destination. Make a daily budget based on the planned activities. Give yourself some cushion to allow for unplanned extras. Make a list of items that must be addressed upon your return from your trip (paying bills, unpacking, getting photos developed, getting kids ready to return to school, etc. "There are two things to aim at in life; first to get what you want, and after that to enjoy it. Only the wisest among us achieves the second." Team goal setting activities like this point out to your employees the fact that there are a multitude of small details that must be identified and planned for in order to limit the number of mistakes that are made, and to ensure the ultimate outcome of the project. Make the point that most people take more time to plan their vacation than they do to plan their retirement. This is why 65% of all retirees must count on government assistance to make ends meet in their former years. Unfortunately, the government will not be here to bail the team out if they fail to properly plan for the success of an important project. Highly effective teams and organizations are very detailed in their planning efforts. The more you plan before you begin a project the better prepared you will be to adjust and adapt to issues and barriers you encounter throughout the process. Now that you’ve made your point, get your team on track with planning their next greatest success in a highly organized and detailed way. For even more great ideas on team goal setting, we encourage you to check out our free ebook, Goal Setting for Success. To download our free Team Building At Work eBook, containing activities on team goal setting and much more, simply subscribe to our free newsletter. You will immediately receive a password that grants access to our entire leadership tools library.